How coaching centres can help you prepare for the civil services exam? 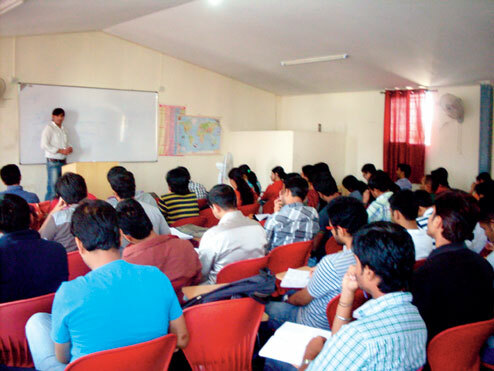 The expert professionals at IAS coaching centres show a systematic path to its students. They guide students on what to study, what not and also make you aware of study areas which are more important regarding IAS preparation. The highly qualified and experience teachers at the IAS coaching centres, train the students and enable them to think beyond the obvious. When you are stuck at a certain point, on some question and is unable to clarify your doubt, then the expert guidance & explanation help you clarify the doubts. It does not only save your time but also provide you quick tips to solve more such problems with ease. The teachers at the coaching centre keep you focused all the time. They bring cases of success and sharing mantras which revitalize your mind and make your energy level go up. There was the time when coaching was a rare concept. Coaching is only taken by those who were weak in their studies. But now, it has become a most commonly adopted method to prepare for the competitive examinations. But, does coaching really help in getting good marks in competitive examinations? The answer to this is yes. In this era of cut-throat competition, self-study is not the concrete way to prepare for the examination. Students must need a proper guidance and a careful understanding of important topics, exam patterns, and easy ways to solving numerical and analytical questions to score well in the exam. This is where coaching classes’ play an important role in helping students to score well in the competitive exams. How to choose the Best IAS Academy? Now-a-days, most of the coaching centres are still using old and outdated study materials. This can put more hurdles in your way and at the same time can lead to low marks in the examinations. So make sure, the institute is using up-to-date study material which is relevant to the changed patterns of UPSC civil services exam. Always make sure the faculty of the coaching centre is much experienced. Make sure, you are gaining knowledge from the experienced guys who have obtained good marks during their civil service exam. Also, they must have a good teaching experience. The coaching centre should be located close to your hostel or place of residence. Make sure the classroom size is decent enough and also there is plenty of space. Now-a-days, many centres provide a library which is a big plus. The Classic IAS Academy is ranked among the best coaching institute for civil services examination in Delhi. The Institute offers top IAS coaching in Delhi. We always strive to provide a cost effective and valuable education. Here, scholar students may be granted 100% fee concession. We provide a participatory and interactive training to all.